I grew up in a lightly religious non-LDS family. I recited a bedtime prayer, read Bible stories, and attended church once or twice a year. Morality mattered, but we were told to decide what was right. It was only after I joined the church that I learned to use the example of the Savior as a measuring stick for my own choices. When I was a teenager and new to the church, I was invited to teach an unusually large group of preschoolers. Several had disabilities and the others were just a major handful. I was offered the volunteer job because I was the only person available who knew sign language and could communicate with the two deaf children. Having no teaching experience, I found myself unable to control my class. Week after week, I struggled to get through a lesson, and usually ended the class in tears after the last child had been retrieved. I didn’t have the confidence to admit I needed help. One day, one of my leaders found me in my classroom after Primary-the children’s program. She had only stepped in to turn off the light she saw glowing under the door, but she quickly saw I was upset and pulled up a chair, asking what was wrong. I poured out my frustration and anger over the children’s unwillingness to respect how hard I worked each week to prepare good lessons for them. She listened patiently until I’d gotten it all out of my system. When I was done, I waited for her to give me a magic solution that would solve everything. She asked a single question: Do you love your students? I stared at her. Love them? I didn’t even like them. Maybe she hadn’t been listening. I reminded her of their terrible behavior-running wildly around the room, giving silly answers in silly voices to serious questions, and kicking the children sitting next to them. There was nothing lovable about those children, in my mind. Today, I’m in awe that she refused to pass judgment on my feelings about that class. She simply nodded and then asked me if I’d be willing to try an experiment. Like the Savior, she accepted me as I was, but then helped me change. The experiment required me to follow the Savior’s example. He loved those He taught, even if they didn’t deserve it. She challenged me to learn to love my unruly class of preschoolers. She even offered specific assignments to help me learn to do that. I was to write their names on individual sheets of paper in my teaching notebook and fill them with information about each child. With seventeen students, I barely even knew their names, much less a page of personal information about each one. She also asked me to put their names on individual file cards and then to pray a personal prayer for each child daily, using what I had learned to make it truly personal. She also signed me up for a class that trained teachers, and here, we were introduced to the teaching methods the Savior used. We read the story of the children who came to see the Savior. In pictures, these children are always standing reverently around the Savior, but when I stop to think of them as real children, I realize there was almost certainly a child who ran around the field, or gave silly answers in silly voices to the questions lovingly asked of him by the Savior. He wouldn’t have lost His temper or refused to love that child. What would Jesus have done in my little classroom? I began to visit the children in their homes, sit with their families in church, and play with them at church parties. My notebook pages filled up and the children stopped being a blur of noise and misbehavior. They became individuals with real feelings and needs. One child needed to learn how to talk. Another needed to overcome a fear of the dark. As my knowledge grew, and I worked harder to teach them the way the Savior would teach them, I found I really did start to love them. Once I loved them, they began to behave reasonably well, because they thrived on my attention and my new pleasure in them. I started to understand one reason the Savior was able to do everything He did. His love was real and all-inclusive, and when the love is great enough, no miracle is too big to happen. 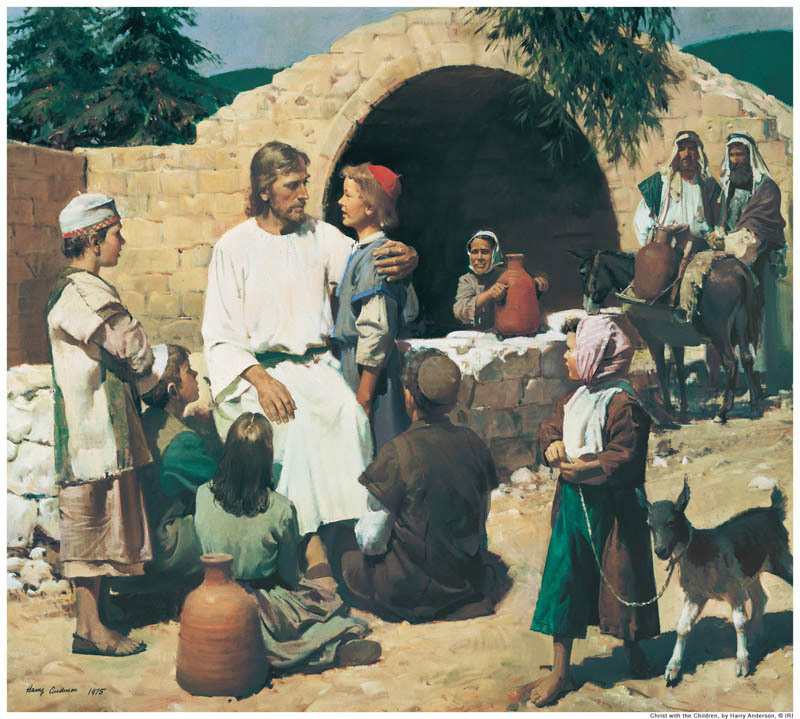 I understood love was the secret behind everything the Savior did in His eternal life. Great story about your class. I have been there too.